Today at the Interservice/Industry Training, Simulation and Education Conference (I/ITSEC), the world’s largest modelling, simulation and training event, CAE launched its next generation CAE Medallion-6000TM image generator. The CAE Medallion-6000 image generator is CAE’s proven, long-standing visual system designed to help provide realistic, high-performance synthetic environments specifically for the defense and security market. 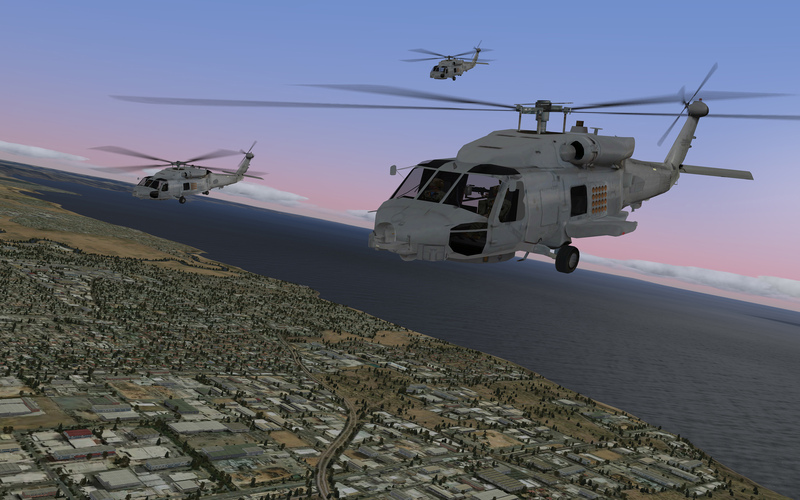 CAE is demonstrating the CAE Medallion-6000 image generator in a rotary-wing mission training scenario at its booth (#1734) during I/ITSEC 2014.
environment ideal for combat mission training and rehearsal. The CAE Medallion-6000 image generator fully supports the Common Database (CDB), an open, public database specification designed to make the creation, modification and correlation of run- time databases much faster to support training and mission rehearsal. The CAE Medallion-6000 is also designed to be part of CAE’s Dynamic Synthetic Environment (DSE), a comprehensive integrated solution that creates a virtual synthetic environment to more accurately and realistically simulate the real world. CAE’s DSE takes advantage of CDB capabilities to dynamically change the terrain to introduce or modify features such as craters, weapons effects, and localized damage on any three-dimensional (3D) content or vegetation. CP-140 full-flight simulator for the Royal Canadian Air Force.